During the "Weekend Social" event for customers last month, Tesla's product specialists announced that the electric car maker has passed the production rate of 2000 per week, electrek.co reported. This put the company on schedule as their first quarter 2016 update to shareholders indicated their plan to "exit Q2 at a steady production rate of 2,000 vehicles per week, thus laying the foundation for a strong Q3 delivery number." In a investor's relation email last weekend, Tesla announced it has produced 18,345 vehicles in Q2, claiming an increase of 20% from Q1 2016 or just under 2,000 vehicles per week. According to the email, 9,745 Model S and 4,625 Model X were delivered in the second quarter of this year, a total of 14,370 vehicles. Deliveries however were lower than expected, due to the fact that almost half of the quarter's production occurred in the final four weeks due to the extreme production ramp. Additionally, 5,150 customer-ordered vehicles were still in transit on their way to customers, thus missing the Q2 delivery target. Now Tesla expects to increase production by 10% in Q3 in comparison to Q2, or 2,200 vehicles per week, while exiting 200 more vehicles per week by the last quarter of this year. 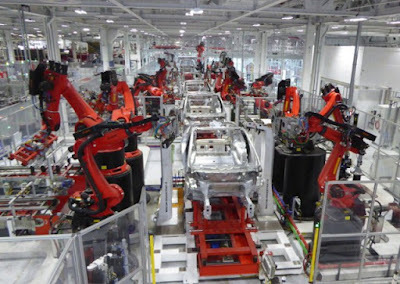 This means Tesla would produce and deliver roughly 50,000 vehicles during the second half of 2016, almost as much as it produced in 2015 all together. Tesla warned that vehicle deliveries represent only one measure of the company's financial performance and should not be relied on as an indicator of quarterly financial results, which depend on a variety of factors, including the cost of sales, foreign exchange movements and mix of directly leased vehicles. 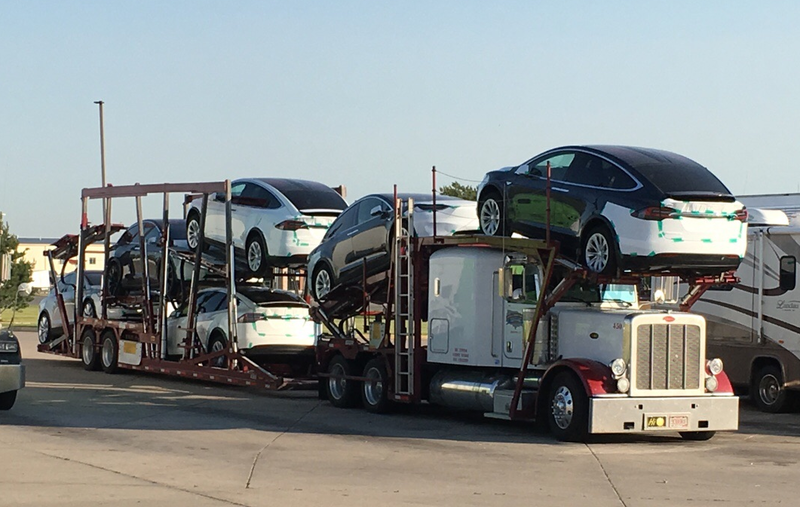 In addition, unlike previous quarters, Tesla now counts an actual delivery if the vehicle is transferred to the end customer and all paperwork is correct. 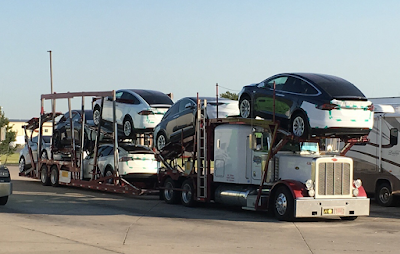 Featured images: Tesla Fremont Factory, Tesla Delivery Truck in Sydney, ND.